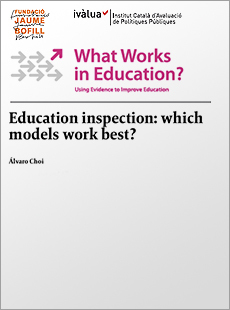 Most education systems in developed countries have an inspection service and although their models are not identical, they all seek to improve the quality of education. The question is: Do they achieve it? This review approaches education quality through student performance and gathers evidence relating inspection activity with academic results. or not? What kind of feedback is most effective? And finally, should inspection activity be strengthened?